The battery is fast charging 2400mAh, and in addition there are also 2GB of RAM, and 16GB of internal memory expandable up to 64GB with the help of Micro SD card. Mlais M4 Note has support for 4G LTE, and there are of course all the other technical details such as Bluetooth, WiFi, Dual SIM, or one Micro SIM and an ordinary SIM, sensors for brightness, gyroscope and accelerometer. Mlais M4 Note has recently shown that he can fight with the competition, lowering prices and maintaining the average quality. So Mlais M4 Note is a very solid device of a large screen and a fairly good features for only $ 160. 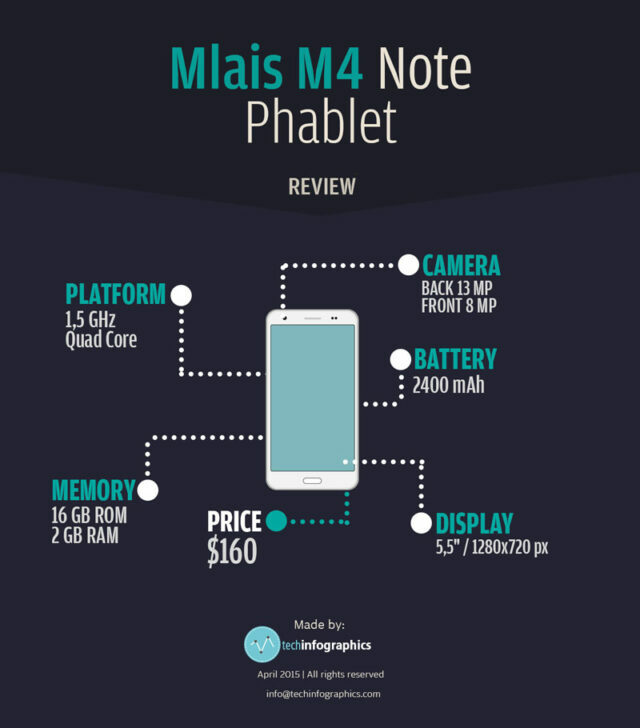 However, Mlais M4 Note, is on pre-sale on gearbest.com now, the coupon price is $129.99 only for the first 150 sold pieces.. After that the discounted price will rise up to $142.98. Coupon code is “M4” (USE WITHOUT QUOTES).